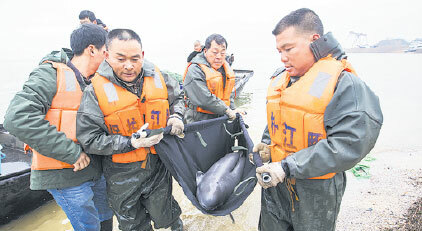 The Ministry of Agriculture will kick off another survey on finless porpoises along the middle and lower stretches of the Yangtze River and its two connecting lakes on Nov. 10. The survey, to be led by the Chinese Academy of Sciences' Institute of Hydrobiology in Wuhan, Hubei province, and the conservation group World Wildlife Fund in China, will last for around 40 days. 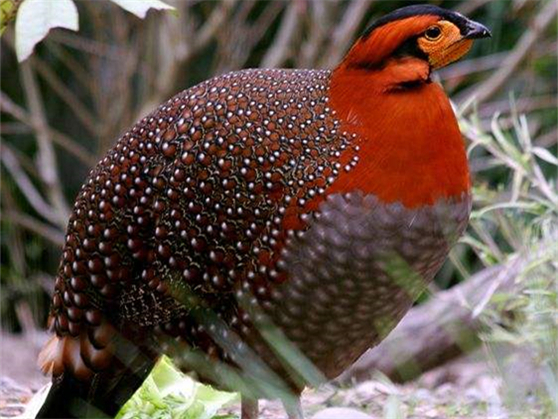 Through the survey, which will cover a 3,400-kilometre stretch of the Yangtze from Yichang in Hubei to Shanghai, scientists and authorities hope to get a clearer picture of the status of the ancient species, which was categorized as critically endangered by the International Union for Conservation of Nature in 2013. As one of the world's few remaining freshwater cetaceans, the Yangtze finless porpoise, which has no dorsal fin, is found only in the Yangtze, as well as in two adjoining lakes, called Poyang and Dongting. Before 2006, the river system was home to two different species of dolphins, but the Baiji dolphin was declared functionally extinct in 2007. In the 1990s the Institute of Hydrobiology estimated there were 2,700 finless porpoises. In 2012 a survey found the population in the wild had dropped to 1,040. Scientists hope that the porpoises can avoid the same fate as the Baiji, both being symbols of the Yangtze. The Yangtze, the world's third longest river, was once "China's Amazon" - a place of great biodiversity - before fishing, pollution and other human activities along the river took their toll. "We had spent a lot of effort protecting the Baiji but we failed. We don't want to lose a finless porpoise again," said Zhou Xiaohua, secretary-general of the National Aquatic Wildlife Conservation Association, who was involved in the previous two surveys. Determined to save the last mammals in the Yangtze River from extinction, China has raced to keep finless porpoises away from threats that have contributed to their dramatic population decrease, which include insufficient food, unregulated fishing methods such as electro-fishing, destruction of their habitats, water pollution and the construction of water conservancy projects that interrupt their routes for migration and reproduction. In 2014, the government set up the Fishery Supervision and Administration Office of the Yangtze River Basin to supervise and manage the fishery industry. It has also enacted a new fishing moratorium policy, built nature reserves, and regulated the shipping in the Yangtze River as part of the conservation efforts. As the countdown to save the ancient aquatic mammals has started, the Ministry of Agriculture in 2015, as one of its last resorts, relocated eight porpoises from the polluted Poyang Lake to two secure reserves far from humans. "Pollution remains one of the major and long-term threats," said Hao Yujiang, an associate research fellow at the Institute of Hydrobiology. "To improve their ecological environment in the river remains a challenge."